Lemon is acidic foods, but a healthy body is alkaline. But when it enters the body, lemon will be alkaline and citric acid in the lemon doesn't create acidity in the body's metabolism. So that the pH in your body stay balanced by drinking a lemon. Lemon has a high content of pectin fiber, which makes you not feel hungry easily.Therefore, the lemon can be a good choice to help you lose weight. Warm water works to stimulate the digestive tract and peristalsis in the intestinal wall. So that the food you eat will be digested properly. Minerals and vitamins in lemon can also help loosen toxins in the digestive tract. 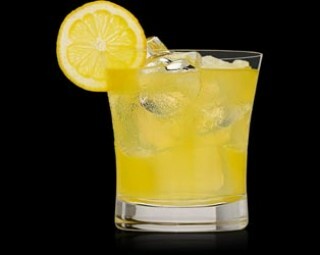 Drinking lemon juice will increase the desire to urinate. So that the toxins in the body will be immediately removed from the body through the urinary tract and make you stay healthy. Vitamin C in lemon juice can help prevent the onset of wrinkles and blemishes on the skin. Lemon juice to clean the toxins in the blood which can also enhance the beauty of the skin. When your body is dehydrated, the organs can not perform all its functions optimally, causing the buildup of toxins, stress, constipation and other health problems. Lemon contains minerals in amounts and will help you avoid the dangers of dehydration.